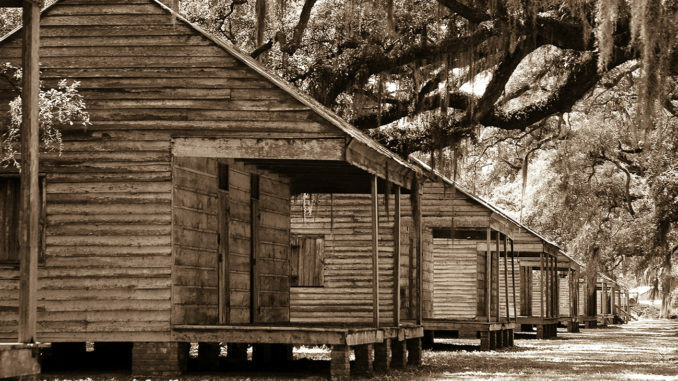 Once they reached the Americas, enslaved Africans were sold to the highest bidder at slave auctions and, once they had been purchased, slaves worked for nothing on plantations without any rights at all. Often punished harshly, some slaves committed suicide, according to historians and pregnant women – many impregnated by their white slave masters – preferred abortion. The historic accounts of the transatlantic slave trade, only worsen as they’re told. From the earliest stages of the transatlantic slave trade 500 years ago and throughout that most ignominious period, many enslaved Africans tried to reduce the pace of their work by pretending to be ill, causing fires and by breaking tools, according to historians. Though few were able to escape, most who attempted to flee were caught and beaten and some even murdered. “Slavery is one of the foundational pillars of American society, propping up the nation starting in the earliest days of the Republic and touching the lives of everyone in America,” said Hasan Jeffries, a history professor at Ohio State University. 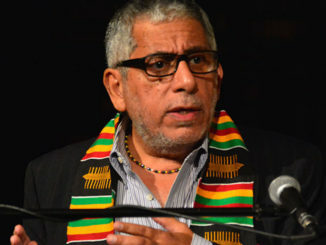 “And, its legacy has been long lasting,” said Jeffries who specializes in African American history and contemporary black history, which includes the institution of slavery and its effect on African Americans in the United States from the founding era through the Civil Rights movement and today. “The deeply rooted belief in white supremacy that justified slavery survived its abolition in 1865 and undergird the new systems of African American labor exploitation and social control, namely Jim Crow, that sought to replace what had been lost as a result of emancipation,” Jeffries continued. James Madison’s Montpelier, the home of the Father of the Constitution, an institution that examines slavery during the Founding Era and its impact today, recently commissioned a study that examined how Americans perceive their Constitutional rights. Research found that African Americans (65 percent) are less likely than whites (82 percent) to believe that their Constitutional rights are regularly upheld and respected. The study also revealed that African Americans (62 percent) are more likely than whites (36 percent) to believe that civil rights is the most important Constitutional issue to the nation; findings that make it clear that race continues to play a major role in determining how Americans perceive Constitutional rights. “Enslaved people were considered property during the Founding Era, therefore the Constitution’s declarations of ‘we the people’ and ‘justice’ excluded them, protecting one of the most oppressive institutions in history,” said Kat Imhoff, president and CEO of James Madison’s Montpelier. “While the words ‘slave’ and, or, ‘slavery’ are never mentioned in the Constitution, they are referenced and codified in a variety of ways throughout the document,” Imhoff said. “The founders compromised morality – many were recorded as being opposed to slavery, but on the other hand many were not – and power – in some cases, states bowed to slaveholding counterparts to ensure the Constitution would be ratified in the name of economics,” she said. Indeed, Madison’s story is one of the first in the continuing journey of Americans who struggled to throw off bonds of oppression and exercise the fullness of what it means to be free, Imhoff added. Working at James Madison’s Montpelier provides Imhoff and others a view of race and slavery’s legacy through the eyes of those who descended directly from the enslaved individuals who lived at Montpelier and other estates in the nearby Virginia area. “As a leader of this cultural institution engaged in the interpretation of slavery, I believe to truly move forward, it is essential to engage the descendants to help us interpret slavery in real terms and illuminate their ancestors’ stories,” Imhoff said. “Our country continues to grapple with the effects of slavery. Some of us feel it in deeply personal ways. Others only know of it historically or academically, as part of the distant, long-ago past.